We stock and offer a qualitative assortment of Compound Lining & Solution Machines. 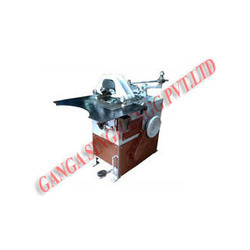 The offered range of high quality machines offered by us includes Round Conipail Lining Machine, Rectangular Automatic Die Lining Machine and Round Can Machine. These are widely known for their longer service life and fine finish. 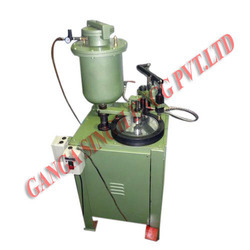 We are a credible name that is occupied in the manufacturing and exporting of superlative quality Round Conipail Lining Machine known for its anti-corrosive properties and smooth operation, the offered equipment is widely praised in the market. Quality checked on various parameters, the whole range of machines offered by us is assured of the invincible quality. We specialize in the manufacturing and exporting of premium quality Rectangular Automatic Die Lining Machine. The offered product is made using high-grade metals and alloys sourced from reliable vendors. Owing to its robust construction, low noise operation and longer service life, the entire range of die lining machines offered by us is highly appreciated among our valued patrons. We are listed at the acme for manufacturing and exporting best quality Round Can Machine. 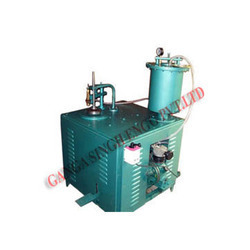 Resistant to corrosion and wear and tear, the offered equipment is widely acknowledged among the patrons, we have. Driven by an intense desire to serve the satisfaction of our clients at prime, we further ensure the cost-effectiveness of the round can machines, we offer. Shipment Case Dimensions: 66" x 36" x 36"
Looking for Compound Lining Machines ?